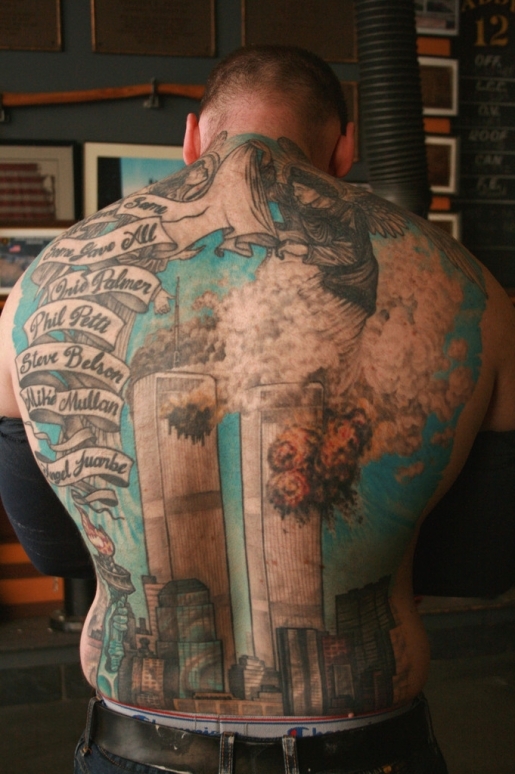 Like the New York firefighter above who commemorated the loss of loved ones in the 9/11 attack on the World Trade Center with a dramatic tattoo, the family of Ernest James also mourned following the devastating terrorist assault. With the 10-year anniversary of the event just a few weeks away, James’ family spent the years in between the day the planes flew into the twin towers grieving their missing son who worked in the upper floors of the North Tower as an IT consultant with professional services company Marsh & McLennan. Like many other victims, James’ remains were never identified. That is until an announcement by the New York City medical examiner’s office on Tuesday. James was named in the release as the person whose remains were the most recent to be identified via the ongoing DNA testing by the medical examiner. The 40-year-old Harlem native was survived by a mother and a sister. He also left behind a fiance with whom he was planning a life together. His mother said she was “glad” the timing of the identification came so close to the anniversary of the event, providing closure for the family. James being identified brings the total number of victims whose remains have been IDed to 1,632, leaving the believed number of unidentified victims at 1,121. Let’s hope eventually all those victims’ families get the same closure.